Spring has sprung in the Western Cape and to celebrate I’ve dreamed up this happy little Carpet of Flowers! It’s my attempt to pay homage to one of my favourite humble wild spring flowers, the lowly Bokbaaivygie. 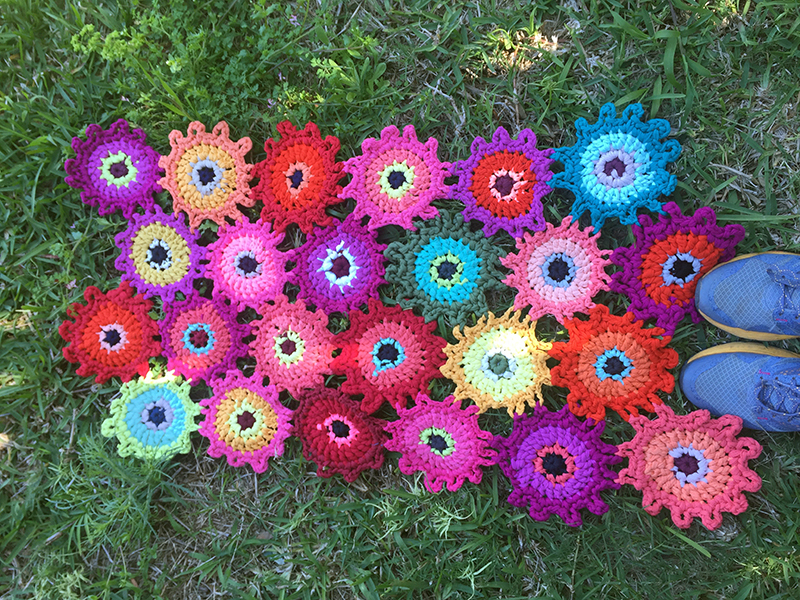 Made of recycled t-shirt yarn, Carpet of Flowers is now available in the shop in kit form, which means you get the pattern, the yarn and the hook to crochet it yourself. Africa, meet the Oktoberfest Have you ever seen a butterfly waterfall?